higher than its original value. 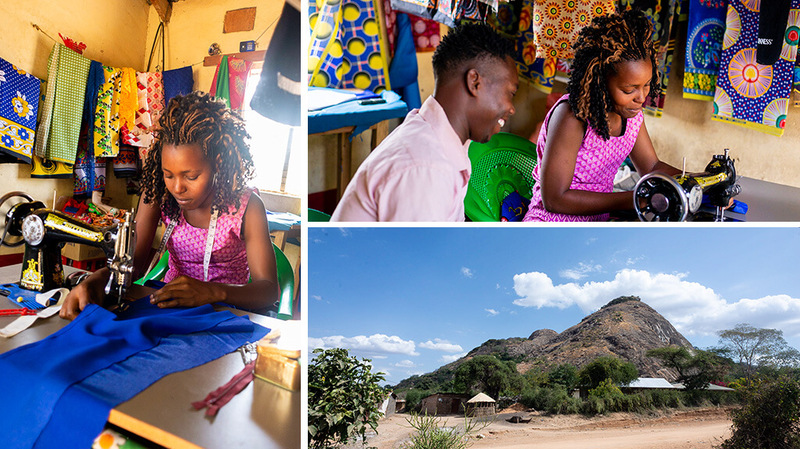 From her quiet demeanour and timid smile, one would never know that Amina’s daily world is filled with vivid colors and creativity: she has become her town’s most in-demand dressmaker. With the help and support of her husband, she has followed her passion to become the breadwinner for her family. But this journey is just the beginning. Amina put her passion and some past training into overdrive when she received a startup investment of $240 after joining the Programme for Rural Outreach of Financial Innovations and Technologies (PROFIT) Financial Graduation programme, funded by IFAD and the Government of Kenya. 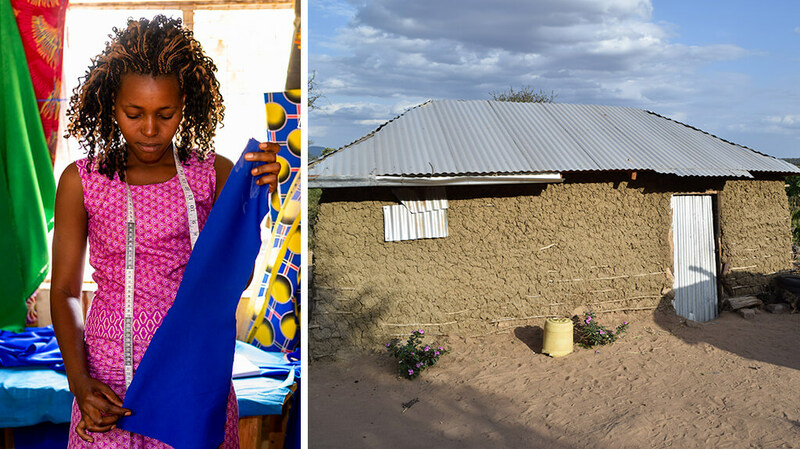 She purchased a new sewing machine and rented a workspace to jump-start her business. Not soon after, the women of Gai town got wind of the new designer, and her business has been steady ever since. 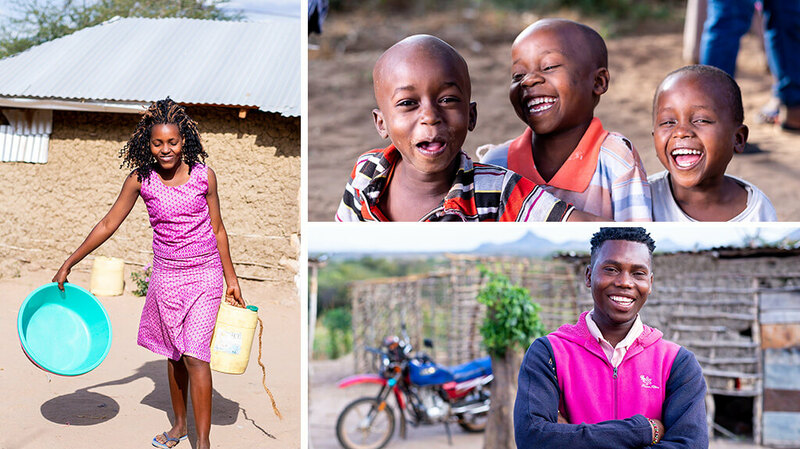 In just a few months time, the changes Amina has made in her life are visible. With more smiles, a new hairstyle, and vibrant dresses, her confidence and lust for life are evident, and continue to grow with her business and family’s support. Amina generally gets multiple visits to her shop a day. She can create a dress in a little over 30 minutes – no small feat with just a little training and no assistance. In the age of digital communication, access to the wider world has played a new role in her life. With the increased business and growing income, Amina and her husband can take care of their child and growing family. Not long ago the couple took over caring for extended family members, adding five more nieces and nephews to their growing list of responsibilities. 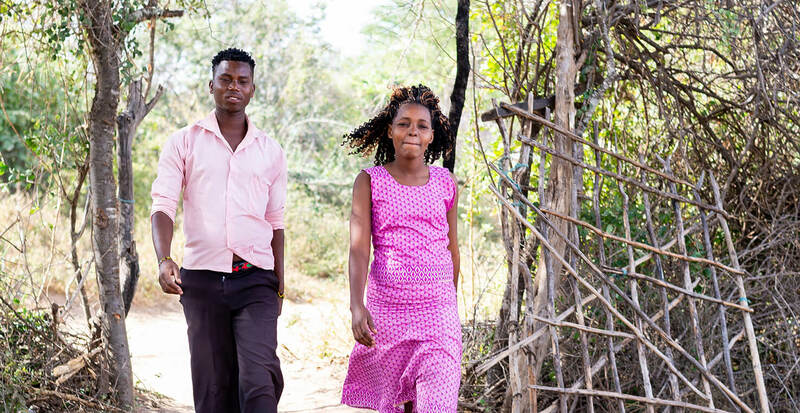 Amina’s husband, Jacob, is also seeing the benefits of her participation and growth. Jacob shly admits that Amina now brings in more income than he does. But he’s proud of her. 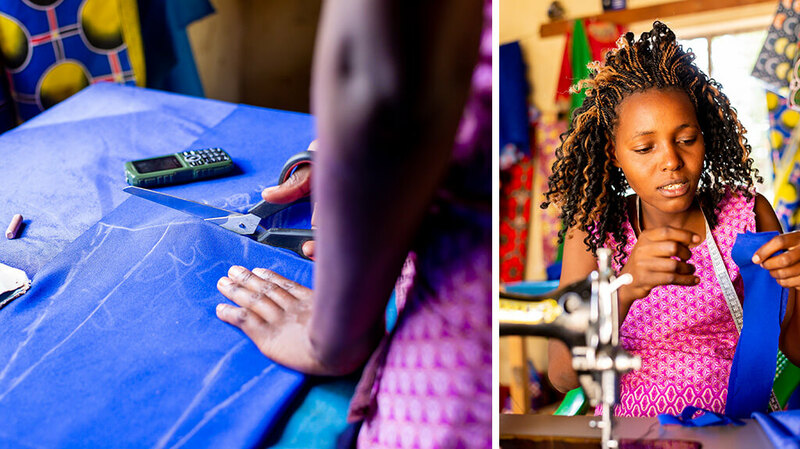 With goals to expand her customer base, continue her Polytechnic training, and hire an assistant or two, Amina has a plan for her future, one that shines bright with possibility. 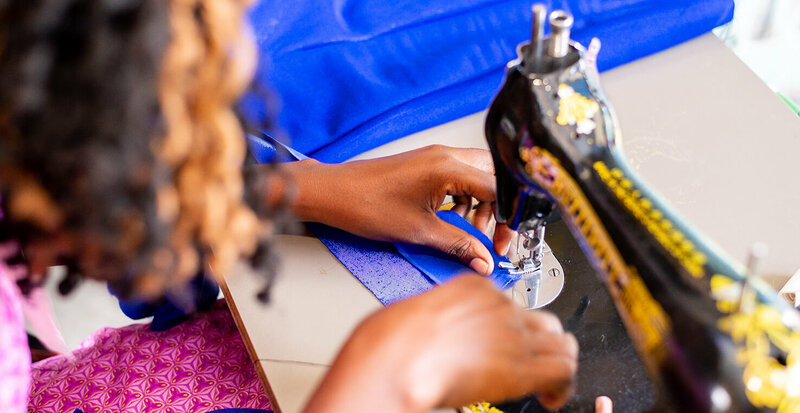 The Graduation programme, implemented by CARE International in Kitui, with technical assistance from BRAC, provides multiple enterprise options to participants to choose from based on their preference and abilities. Participants receive training from mentors and sometimes other experts to manage their chosen assets and create sustainable businesses that will last far beyond the end of the program. Join the world's biggest family.